Much like the British Navy in the 1800s, once you sign on for Top Chef, they own you for life. Case in point: the finalists of Season 10, Brooke Williamson and winner Kristen Kish (so tall! so beautiful! ), and Season 9’s Fan Favorite Chris Crary (also beautiful, but blonder! ), have just been added into the Top Chef cruise — less than four weeks before they set sail from Miami. 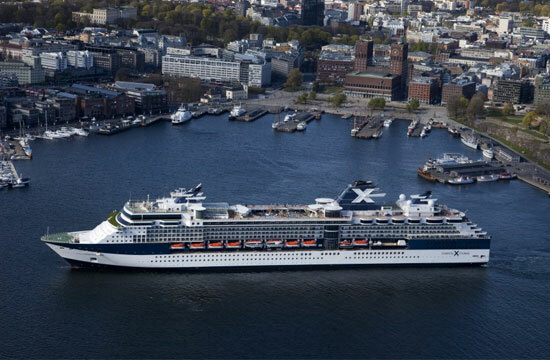 If you’re a fan of cruises and chefs, then this is the best news. If you’ve been following all the horrible, cruise ship-related news AND are a fan of Top Chef, this is cause for concern: what would happen if all the best Top Chefs were stranded in the Gulf of Mexico for a week? Top Cannibal? In addition to previously announced activities aboard the voyage, such as “Quickfire” challenges, “Dining in the Dark” experiences, behind-the-scenes kitchen tours, Q&A sessions with the judges, Masters and chef’testants and dance parties with DJ and Top Chef Master Hubert Keller, guests can also play Ping-Pong with Spike, jet ski with Casey, try their luck at poker with Hosea and Mike or attend a mixology class with Yigit. Still hungry? Guests can also sign up for cooking sessions with their favorite chefs — such as Kristen, Mike and Paul and attempt to create Top Chef-worthy dishes or sit back and watch the pros as Tom and Gail perform cooking demonstrations. Pretentious Joke Warning: if only David Foster Wallace were still alive, because he’d make breakfast hash out of this entire cruise.